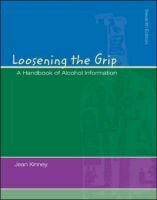 This text offers a thorough approach to understanding alcohol, its physical and psychological affects on an individual, and its emotional impact on the family. It is the only comprehensive, self-contained book intended to cover the range of psychological factors, physical complications, treatment options, and family concerns. The text is easy to read and covers a broad range of situations, making it suitable for academics, students, or families of alcoholics.